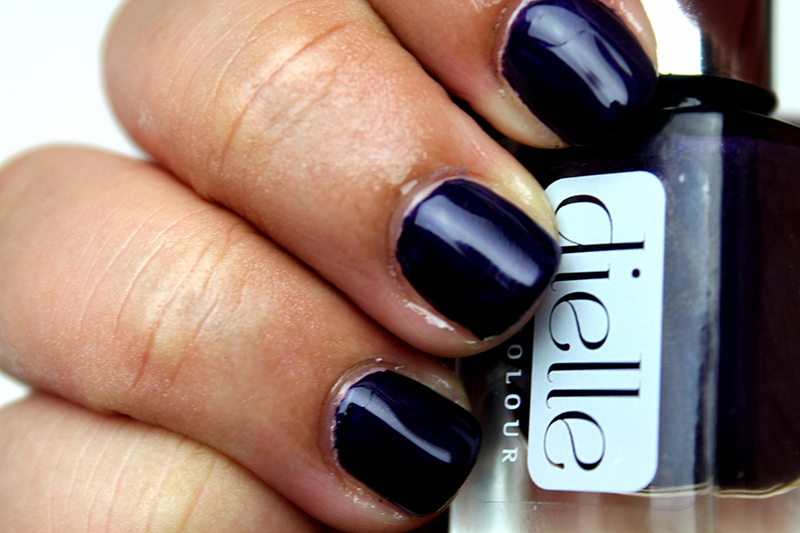 Contrary to how it may appear in the photo Majestic is a shimmery royal purple nail colour from Dielle. It picks up more navy unfortunately on the camera but it's definitely a purple, with slight shimmer running through it as with all Dielle products they are free from toxins such as Toluene, Formaldehyde, DBP, Camphor & Pthalic Acid. Majestic Obsidian is part of Dielle's Metallic collection and still perfect for the upcoming months. Pair it with the gel top coat for an extra glossy, jelly appearance. Oh that colour is gorgeous!